The Patch family lineage has been farming the same plot of land in Lebanon, NH for eight generations and takes pride in their rich heritage. Come share in our experience. Come join us at the Orchard for family-friendly events and fresh produce. Patch Orchard has supplied the community with fresh produce for over 250 years. 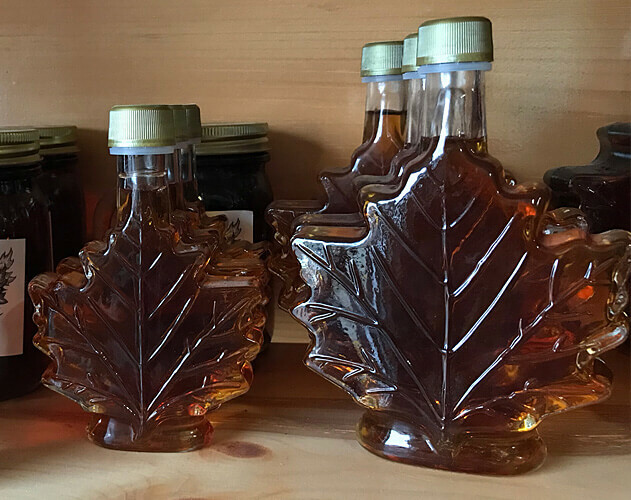 Shop all Patch Orchard pure Maple Syrup produces included syrup, sugar and candy. Our family has been farming this land in Lebanon, NH since 1775. We produce apples, cider, and maple syrup for our farmstand and local grocery stores. We have the following varieties of apples: Paula Reds, Macintosh, Macouns, Cortlands, Empires, and Ida Reds. We also have Pumpkins, Maple Syrup, Maple Soft Serve, Corn and a Corn Maze. Come join us on Churchhill Way in Lebanon, New Hampshire for these family-friendly events. Patch Orchards has a plethora of apple and maple products for sale online and at our Orchard Farmstand. Offering a diverse selection of Apple products including hard cider. Shop our selection of Pure New Hampshire Maple Syrup. Fresh corn, pumpkins, honey, pickles and more!